There are so many gold charts out there. Most of the gold charts are too short term oriented. That’s why picking the right timeframe for gold charts, long term, and finding the dominant patterns is crucial. 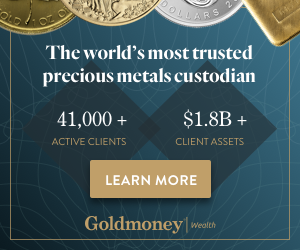 Based on a thorough studies of the gold market we have identified the most relevant long term gold charts, embedded in this article. We have annotated each of the 3 gold charts to display the patterns that determine the dominant trend. The top 3 gold charts with long term timeframes are the 20 year, 40 year and 50 year gold charts. Most investors tend to forget the importance of gold chart, long term timeframes. It is so easy to get caught up in the endless stream of short term gold charts and gold price news. Moreover, many investors look at a gold price chart like the ones here, here, here and here. There is literally zero value for investors in these default gold charts. Gold investors need long term charts which are analyzed and foreseen with annotations identifying the long term dominant trends! We would argue that the most dominant trend in the gold market is visible on the 40 years gold chart. However, the 3 gold charts long term timeframes that all have important, though complementary, insights are the gold charts on 20 years, 40 years, and 50 years. That’s why we feature all these 3 gold charts on this page! In the ideal world the observations on the different long term charts confirm each other. Say that the gold chart on 40 years shows a pattern, and there is a similar conclusion from the 20 year and 50 year gold chart it would classify as a ‘confirmation’ of the different time frames. That’s raising the confidence that this trend will last. The opposite is true as well: if the 40 years gold chart suggests that gold is running into secular resistance but the other charts show a totally different picture then we talk about ‘divergence’. We don’t trust the findings too much, and prefer to avoid risk by giving the market time to show a clear and confirmed direction. The 3 gold charts, long term, show the dominant trends for the gold price. Specifically, the gold price chart on 20 years reveals 2 very specific price points which are the ones that are crucial in determining when the new secular gold bull market starts. Note that these price points were also discovered in our gold price forecast 2019. What is the importance of the 20 year gold chart? First, market-wise, the last major gold bull market started in 2001 which is almost 20 years ago. The gold price was in a long term uptrend of 10 years after which a bear market started that is still ongoing. Having such a major bull market as well as bear market in one chart is imperative to understand the ongoing dominant trend. Second, chart-wise, it is all about finding the right pattern at play which determines the end of the ongoing bear market and start of a new bull market. It is pretty hard in a world in which ‘everyone and his uncle’ are drawing chart patterns and sharing them on social media to know which pattern really is at play and has predictive value. In other words we believe the 20 year gold price chart has the crucial price points to determine the secular gold bull market (when it starts and when it fails to start). The grand gold bull market that started in 2001, and peaked at 2011, after a 10-fold rise of the gold price. The violent gold bear market that started in 2011, and is still ongoing. But which is the dominant trend for the ongoing bear market? Is it the bear market pattern is the dominant trend or the bull market is dominant? In other words is it the falling channel since 2011 that is dominant or is it the rising trendline since 2001? We firmly believe that the falling channel is the one that has the predictive value. A limited number of price points important to watch should be derived from the falling channel is what we are saying. As per our 100 investing tips it is a handful of price points we should derive from this bear market channel. More specifically, we believe there are 2 price points which have predictive value: $1275 and $1375. The first critical price point is $1275: it is resistance on a diagonal pattern or the bear market channel. The second critical price point is $1375: it is resistance in a horizontal pattern since +5 years. We strongly believe that if and when both price points are broken to the upside we know for sure that the bear market ended, and a new bull market (bullish scenario) or a consolidation period (neutral scenario) will start. Note that we want to see 3 monthly closes above both price points in order to confirm this bullish’ breakout’ event. Why do we consider the gold price historic chart on 40 years so important? First, market-wise, the gold price started trading ‘freely’ with an open market in 1971, on August 15th. That’s when President Nixon took the U.S. off the gold standard. So any historic gold price chart should be after that date, as before it was not really relevant. Second, chart-wise, the major peak of the gold price was set in 1980, and the longest consolidation in gold’s history. A fact that is kept secret by chartists is that rising channels which are the most dominant trends have their roots in major peaks and subsequent consolidations. If we apply all this to the gold market it is clear that any gold chart after 1971 should be taken seriously. But between 1971 and 1977 there was not such a relevant price action. It all started in 1978. What is truly exceptional is the rising channel which is really not visible to many. Take for instance the peak of 1982. Who could imagine that it has value at the present day? Look how this 1982 peak created a subchannel which provided support since 2016, during the heavy gold bear market as it marked the ultimate low of this bear market. What this 40 year gold price chart learns for 2019 and 2020 is that there is a fair chance that gold’s price will rise to the top of this channel provided that 1200 holds strong as a monthly close. That’s also what we have been repeating recently: the importance of $1200. We expect gold to rise to $1650 in its ongoing cycle where it will meet heavy resistance. This might happen in 2019 already but, for this, we need the lower timeframes. Now this is exactly how to read long term charts: determine the ultra-important price points when it comes to dominant trends but zoom in to see how the market reacts on those important price levels. The longest term gold chart is the quarterly chart on 50 years. Interestingly, this is the easiest chart setup imaginable, taking the high level of volatility of precious metals into account: 2 bull runs + 2 corrections. The 2 major bull runs (70ies and last decade) had one very similar setup: 3 phases of the bull run characterized by a steeper run per phase (see the numbers 1 till 3 annotated). The first correction had a pretty concise pattern as well: a triangle pattern. The ongoing correction seems to be morphing into a giant bull flag, or falling channel. It is pretty easy to recognize the end of the ongoing correction.